If you live in the central U.S., you don't need us to tell you that it's seriously cold out. Spend 30 seconds in the numbing winter weather, and you'll be ready to spend the rest of the day sipping hot cocoa on the couch. That's because this week's polar vortex means that parts of the U.S. are experiencing the coldest weather in decades. Temperatures in the U.S. dipped as low as -30 degrees Celsius (-22 degrees Fahrenheit), while Chicago's wind chill temperatures plunged to -52 degrees Fahrenheit on Wednesday. And, as the Chicago Tribute reports, Chicago is on track to experience its coldest temperature ever on Thursday. It's so cold that Lake Michigan looks like a crazy boiling cauldron (check out at the video at The Guardian), as the vapor that rises from the lake quickly freezes into "cloudy" ice droplets. Even fast-moving bodies of water, like Niagara Falls, have frozen over (ED NOTE; image in tweet below -- can we embed that?). You probably don't need us to tell you that going outside is, well, not fun right now. But the extreme cold is dangerous, too. The Washington Post reported on Thursday that at least six deaths have been linked to the cold snap, including one student at the University of Iowa who was found unresponsive outside and later died in the hospital. The frigid weather temporarily brought business to a halt, too. Polar temperatures caused airplane gas lines to freeze, grounding flights – mostly out of Chicago – and also lead to mass power outages in Iowa and Wisconsin. The cold also triggered a wave of school and business closures because, well, it's just safer to stay at home. Update to previous tweet, now w/ranking of lowest wind chills today at #Chicago & #Rockford. Still psbl 1/30 low temp may get colder, especially at RFD. So What is a Polar Vortex, Anyway? As you can probably guess from the North Pole-level cold that moved stateside, the polar vortex involves a concentration of Arctic air. Normally, the polar vortex stays, well, at the poles, keeping the Arctic just the right amount of chilly. But, sometimes, the polar vortex gets disrupted and moves south – in this case, over Canada and the United States. And, ironically, the U.S. is so cold right now because of warm air. Specifically, warmer-than-usual air moved up toward the Arctic, disrupting the polar vortex and pushing that Arctic air south. "Polar vortex" weather in the U.S. has become more and more common over the past few years, causing scientists to ask if it might be linked to climate change and global warming. As the Guardian explains, this is still a new area of research – so scientists aren't sure yet how much climate change contributes to polar vortex cold snaps. But it seems possible, even likely. Climate change can affect the air flow around Earth, and warmer global temperatures might mean the polar vortex gets disrupted more often – pushing that Arctic air southward more frequently and making extreme cold weather more common. At the same time, polar vortex conditions in the U.S. could potentially contribute to the effects of global warming in the arctic. While we're experiencing record freezing temperatures, the Arctic is actually facing a heat wave, with temperatures that are about 25 degrees Fahrenheit warmer than normal. 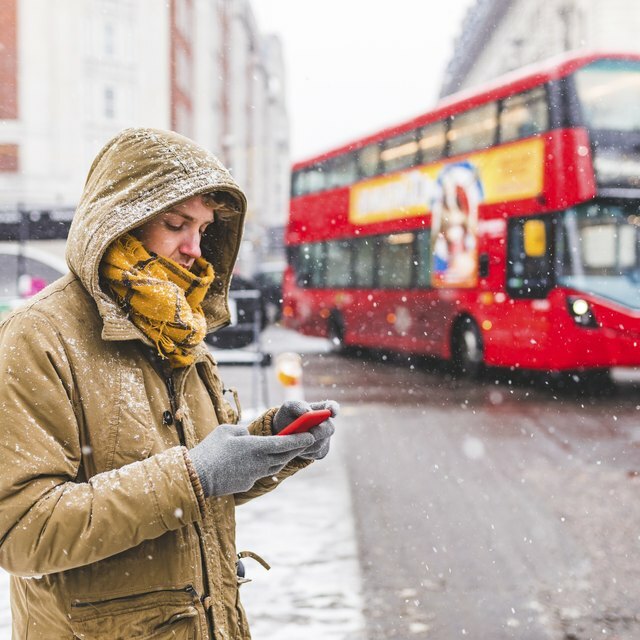 So What Should You Do During a Polar Vortex? If you're bundled up inside reading this, you've got the right idea. Polar vortex temperatures make frostbite a major health risk. Once the wind chill hits -18 degrees Fahrenheit, frostbite can set in within 30 minutes. And, not surprisingly, as the temps drop, frostbite happens quicker. At a wind chill of -40 degrees Fahrenheit – the kind of temperatures hit the central U.S. this week – frostbite can occur in under 10 minutes. So, long story short? Stay inside. And if you have to venture out, make sure your head, face and hands are covered, and wear warm winter boots to protect your feet. Make sure you have bottled water at home, plus enough non-refrigerated food on hand to tide you over in case of a power outage. The good news? The polar vortex is temporary. The worst of the cold is expected to end before the weekend, so you can (finally) head outside again. The Guardian: Polar vortex: what is it and how is it linked to climate change? Tremblay,, Sylvie. "Polar Vortex Pummels US With Plummeting, Record-Setting Temperatures." Sciencing, https://sciencing.com/polar-vortex-pummels-us-with-plummeting-record-setting-temperatures-13716911.html. 31 January 2019.